Back in the day,.. which one I'm not sure. but none the less back in the day I used to be a songwriter, and I would run around with napkins listening to conversations and waiting for the perfect line for my next song. When someone said it, I'd write it down and voila a song was born. Yesterday I was standing in Kid Fusion talking to Brian and he said something worth writing down. 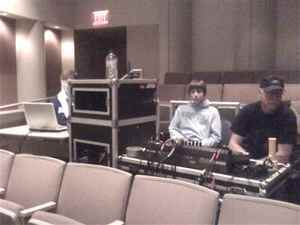 We we're chatting about the progress of a new sound man named Adam and Brian said. "He is doing great because he cares" " All the good sound men care". What a true statement. I think a lot of what we do begins and ends with the question " Do I care"? p.s. found a killer post on caring over at Seth Godins blog. Check it out. Man what a great show! Outside of seeing U2 at the Pontiac Silverdome this may be the best show I've been two. Great Sound, Killer band, great harmony, tight, killer musicianship. 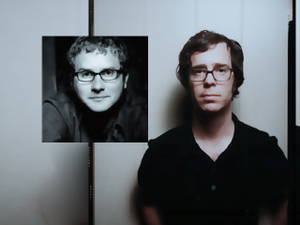 I think he and Rob Bell are the same person. They Look a lot a like. Come to think of it I've never seen them in the same place at the same time. I was reminded how important song writing and music as a medium to communicate is. I saw true Worship, not for God but it was fascinating to witness from the world view I have now. 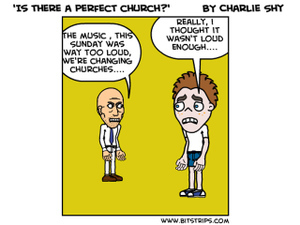 More Worship leaders and teams inside the church need to attend concerts outside the church. 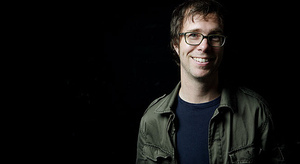 Going to see Ben Folds tonight. Woo Hoo! How many times have I had this conversation!?! Kyle has this up on his blog but I thought it was priceless. This is a conversation I have with both kinds of people..... a lot! I think the learning lesson, is knowing who your target is and why your doing what your doing and being comfortable living that out. Last night the band from Crossroads led Worship at a local college. It was a good reminding night for me of multiple things but in the context of technology there were some specifics. None of us could have pulled off this gig by ourselves, but due to the hard work of the guys ( Rich, Adam and Henry, along with the band and speakers) It went pretty flawless. Create an atmosphere of mentor ship. 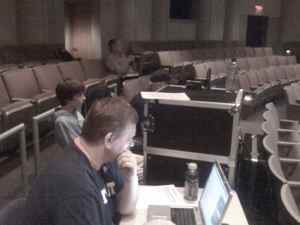 Rich Behnke came into the team about 2 years ago, he had never run sound on a large scale before , he spent last night building into newcomer Adam imparting to him all wisdom and knowledge. It was a great night to spend time with God. This is Jake. 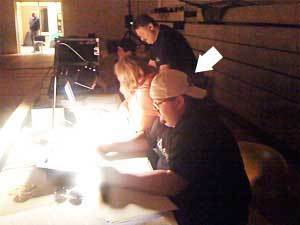 He is running lights in our Kid Crossing area under the direction of Chuck"The Man" Fick. Last weekend was his first weekend. He showed us about 5 places we could do what we are doing better. I LOVE that! It is really easy to stop seeing. Today look around.. find something you have never noticed or look at something around you with new eyes. 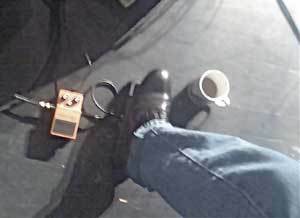 So I walked on stage on Sunday and guitarist Jim had a new type of stomp Box. Classic. Just don't step in it.